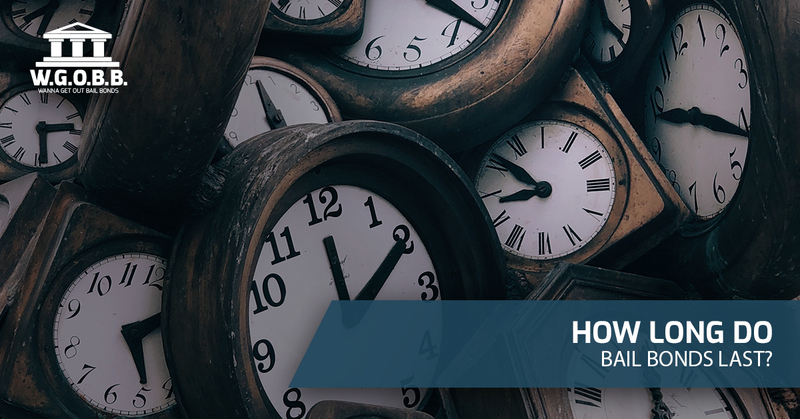 Bail Bonds Oahu: How Long Do Bail Bonds Last? At Wanna Get Out Bail Bonds, we take great pride in providing our clients with simple answers to complex questions. In other words, we know how tricky our industry is for a lot of people to understand, but our goal is to make sure that no matter your situation, you have the facts you need to make the right decision. With plenty of experience serving a number of people with unique circumstances here in Honolulu, we’re prepared to help meet your needs no matter what they are. That’s why in today’s post we’ll be tackling a question we get on a regular basis — do bail bonds expire? That’s a great question, and it’s really important to know the answer to this question. After all, if you’re not sure whether they expire or not, it can lead you to making some decisions you might not otherwise make. When you arm yourself with knowledge, you set yourself up for success. So how long do bail bonds last? We’ll take a look below, so keep reading to learn more. It’s not something you see discussed very often. This makes a certain amount of sense, of course, because many people are simply focused on getting their friend or loved one out of jail quickly. Indeed, that should be your top priority, and a good bondsman will walk you through any terms and conditions you might need to know about during the process of bailing your loved one out. Either way, one thing you are probably well aware of when it comes to the legal system is that trial dates can change on a regular basis. For example, when a person is released from jail, his or her court date might be set for two months from now. As time moves forward, the court date is pushed back two weeks, then a month, then three more weeks. This can be frustrating, to say the least, and it often leads people to worry because everything is feeling very prolonged. Here’s the good news — there’s no time limit on a person’s release. Simply put, as long as her or she shows up at their court date, regardless of when it’s pushed back to, you’re not going to need to renew the bail bond. There are a few situations where the above might not necessarily be the case, but generally speaking, it’s what you can expect. So what about the other times? The most common situation is one in which a person is arrested, but has not been indicted for a crime. If that’s the case for your loved one, the best thing you can do is to stay in contact with us because we’ll walk you through exactly what needs to be done for your specific situation. In other words, although there are some variables that come up from time to time, you can count on the team at Wanna Get Out Bail Bonds to keep you in the loop at every step of the way. No matter your questions, feel free to ask because we pride ourselves on friendly, honest, and thorough communication skills at every step of the way. Something else to consider that many people have questions about regarding the expiration of bail bonds is what happens if a person decides to skip out on their court date. It’s a situation in which the bond didn’t expire, but your money won’t be returned. Here in Hawaii, there’s a good chance that you paid your bondsman 10% of the price of the bond. If the person you bailed out decides to go on the run, that money is lost. 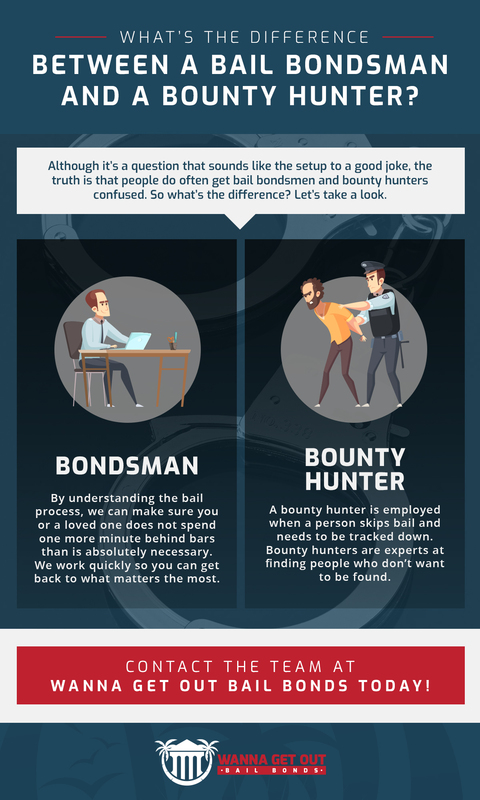 In these situations, the bond agency might employ the use of a bounty hunter. It’s a subject that we’ll cover in greater detail in a future blog, but the basic idea is that we’ll employ someone who specializes in tracking people down and that person will be on the lookout for the person in question. Have a question about the process? We won’t go on and on about it in this post because every situation is different, but the big takeaway that we’d like you to have in today’s post is that we’re here to help. Looking for free bond advice? We’d be happy to chat with you. Wondering what the best move to make for your situation is? We’d love to give you some recommendations. Just interested in getting an idea of how much it might cost to bail your loved one out of jail? We can help you with that too. At Wanna Get Out Bail Bonds, we want you to know that day or night, we’ll be here for you when you need help the most. We’ve been in this industry long enough to know just how stressful it is to get a phone call late at night from a loved one who’s been arrested. As you work quickly to get that person released, we want you to know that we’ll be working right alongside you. We pride ourselves on quick, efficient work. Simply let us know the first and last name, booking number, jail, and bail amount, and we’ll get started. It’s as simple as that, and we’ll let you know all of the details you need to know. Contact us today to get started.